Moen Shower Heads Reviews- TOP 6 Plus Valuable Customer Feedback! Moen shower is one of the most popular brands of shower and bath necessities with high quality materials and modern designs. It is the leading faucet brand in North America with designs used in kitchens and showers with items used for garbage disposals, lightings, safety, and filtration. All of their products are applicable to both commercial and residential use. The company pride themselves of their leading innovations, long lasting products with easy and great features, and their long lasting value. This showerhead comes with a magnetic docking system that makes it easy to detach and reattach. With its magnetic features, you can use it as a handheld shower or attach it to its dock. It comes with 6 different spray options that you can choose from; you can change its spray settings easily by turning the dial. 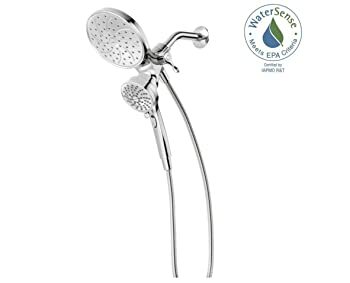 Wasting water is not an issue with this shower head since it has an Eco-Friendly standard that helps you conserve water upon using. It also complies with the specifications set by the Americans with Disabilities act including ab 1953 (California) and s 152 (Vermont). Customers were impressed and claim it to be the best Moen shower head due to its modern design and were pleased of its magnetic feature for it made it easier to connect back to its mount. The spray options made the process customizable while the water dispersion is good and wide. Maintenance for this shower head is infrequent because it rarely leaks. The item has an adjustable water spray setting. It comes with a Magnetic Mount. The hose is made of metal and rarely leaks. The hose length is per standard. The water flow is low due to the Eco feature. The plastic material in the shower head breaks over time. The hose can be easily bent and crimped. 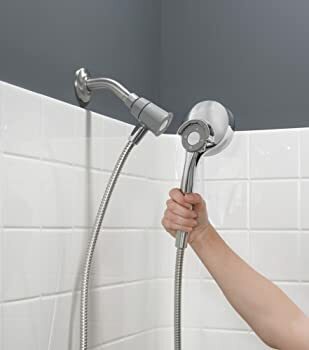 Another great product from Moen is this 2-in-1 shower head; it can be a hand held shower or attached back to its mount to become rain shower head. This option makes this shower a great find. As featured in most Moen magnetix shower head reviews, Moen 26008 comes with a magnetic dock that securely places the showerhead while making it effortless to remove. It also includes a 3 way-diverter, which means you can choose to use it as a handheld shower, head shower, or both. The two showers each have their own different settings. The head shower features one full flow function while the hand held shower has six settings and a pause button. It has a chrome finish with a classy and elegant design. After using Moen 26008, users have this to say. The item worked great, the magnetic mount was strong yet easy to remove the shower head. The water flow options can be personalized and is customizable to your preference. The 6 options for the water flow were helpful and overall the quality was excellent. Out of all Moen shower head reviews, Fina is another luxury shower head that is elegantly designed product from Moen and has the most positive feedback. It comes with a chrome finish, wall bracket, vacuum breaker, wall supply elbow, and one-function massaging rinse shower. It is used as a handheld shower with a full spray pattern and adjustable spray. Customers were satisfied with its sleek design that is aesthetically pleasing and functional. The size is just right and not too big to clutter the bathroom space. The swivels and controls are easy to use. 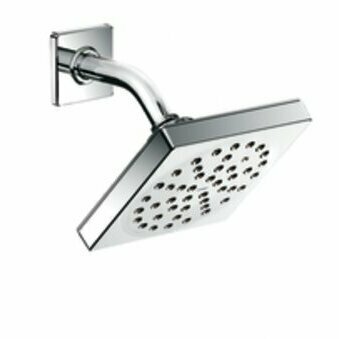 A revolutionary product from Moen, this shower head is made from premium quality metal that ensures this shower head to last long. It comes with multiple finish that gives it a more stylish and modern design. It features a self-pressurizing immersion technology that channels water through the showerhead to produce more optimized flow. It is a complete set that comes with a showerarm and flange and is easy to install. 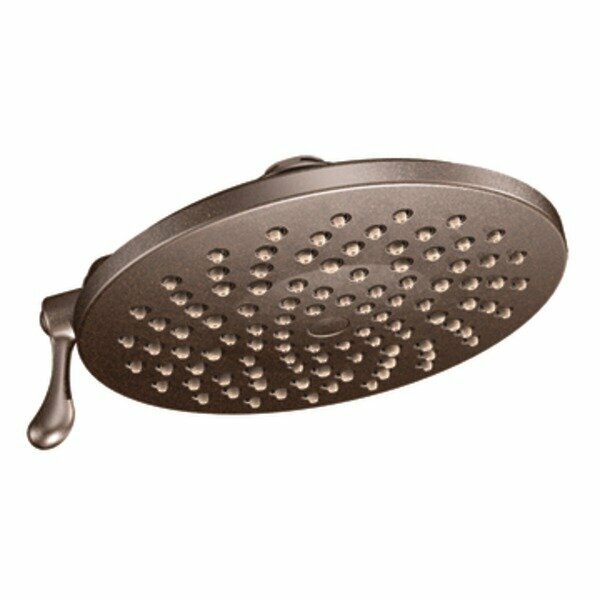 Compared to other shower heads, customers claimed TS3715 to be cheaper and better in terms of quality. Crafted from premium quality metals to ensure durability and strength, this remarkable invention from Moen is a must have. This item has a double check valve in the handle, a 30” slide bar with push button selection, a 69” double interlock spiral hose, and multiple finish. 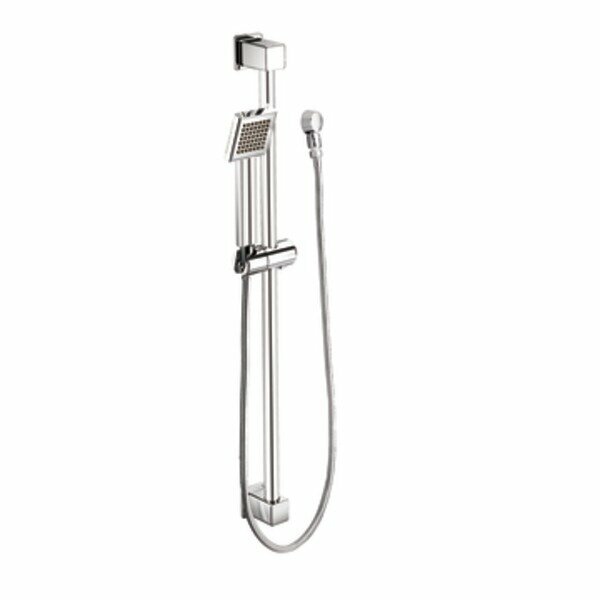 It is operated with a single function and comes with a rotation hand shower holder that adjusts to any angle. Users loved the rotating handle piece and the modern design. They were satisfied with the clean finish and the easy installation. Meanwhile, some users were thrilled by the icons on the knobs and the flexibility of the hose. 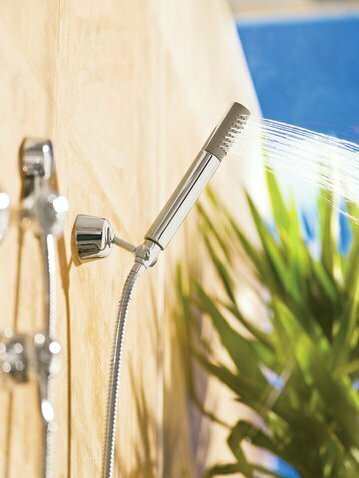 This shower head comes in multiple finishes such as Chrome, Antique Bronze, Brushed Nickel, and Oil Rubbed Bronze. It comprises of two main features: the rain shower and full spray patterns. This is easy to install as a wall mount fixture and requires no assistance from professionals. This item, along all Moen products, is made in the United States with reliable production and quality. A few users of this product recommended others to try this out. They noticed the great results it showed on both features and were thrilled the unit lasted after long periods of time. It requires minimal installation that can be done with the help of simple tools. It might be difficult to search for the best shower heads for your home with all the products available in the market and all the advertisements you encounter. However, a day won’t be enough to go through each one of them and inspect their quality and features. In response to that, we decided to provide you with enough information as reference and gave you this article of Moen shower heads reviews, which contains all the best shower heads from Moen. With the knowledge and information gathered here, you can now choose the shower head that fits your style and needs.